Simply submit this form and we’ll pass your details to up to 3 local approved installers who may be in touch should you require a no obligation quote. I would like to receive Ultraframe information and offers by email. Are you planning to add a conservatory or extension to your home in South Wales? If you live in South Wales and want to transform your home by adding a conservatory or extension, then read on. We have lots of useful advice and information to help guide you through the process of choosing the right conservatory or extension for you and your home. There are many reasons why you might have decided to extend your living space by adding a conservatory or extension to your home in South Wales – maybe you’d like a space to relax and enjoy the peace of your garden, you may need a playroom for the children or a haven for the adults to escape the children and watch TV in peace! You might have decided that the trend for open plan living will work well for you and your family, allowing you to live, eat and socialise all in the same open plan space. Whatever your reasons, there is a conservatory or extension that can help you to achieve your aims and reading this handy guide will give you all the information that you need to make those all important decisions about size, shape, style, colour and also assist you in finding the best conservatory or extension installation company in South Wales to help you achieve your dream. Are you looking for a replacement conservatory roof in South Wales? If you already have a conservatory on your home and are looking for advice and inspiration about replacing the roof with something more thermally efficient that is better suited to the climate of South Wales then we can help with all the help, advice and products that you will need. Here at Ultraframe, as well as designing and manufacturing a huge range of conservatory and extension roofing systems, we also have several different of solid replacement conservatory roofing systems which are ideal for transforming your conservatory in South Wales and giving it a new lease of life, both in terms of how it looks and how it can be used. Living in South Wales, sunny days can be something of a rarity but on the lucky days when the South Wales sun is shining, an old and dated conservatory may be too warm for you to comfortably use – and of course, South Wales winter days may render it too cold to for you to comfortably spend any time in. Ultraframe replacement conservatory roofs are available in a range of different finishes so you can choose a replacement conservatory roof that perfectly complements your home in South Wales. Choose from the sleek contemporary lines of our grey Livinroof replacement conservatory roof or go for the stunning hues (in a range of colours) of our Ultraroof tiled roof system. Regardless of which Ultraframe replacement solid conservatory roofing system you choose, they both offer the same internal appeal – a beautiful plastered ceiling that makes your new conservatory feel comfortable and warm, whatever the weather is like in South Wales. Let us help and inspire you so that you can decide whether to add a conservatory or an extension to your home in South Wales. You may think you already know what defines a conservatory or an extension but to see the official definitions, click here. In short, a conservatory will feature a larger amount of glazing than an extension. An extension may also be more thermally efficient and more suited to being used all year round – something that is worth considering for the often-cool climate of South Wales. Once you’ve done your research and decided whether your home improvement project on your home in South Wales will be a conservatory or an extension, the next step is to choose what style. There are a huge range of conservatory styles to choose from and one key consideration to bear in mind is the shape of the floor space. If you choose a Victorian or p-shaped conservatory, then the floor space will feature a curved faceted area. If you go for Edwardian/Georgian or a lean-to conservatory, then your floor space will be angular in either a square or rectangular shape which can often allow for a better use of the space as furniture also tends to be angular. Of course, if you are replacing the roof on an existing conservatory to make it more suited to the climate of South Wales, or to give it a new lease of life and make it feel more like a room, then your conservatory style will already exist and you simply need to choose which of the Ultraframe solid replacement conservatory roofing systems is best for your home in South Wales. We have several different replacement conservatory roofing systems for you to choose from. Click here. If you want a conservatory with a more unique and unusual atrium design, why not consider one of Ultraframe's exciting range of orangeries? Ultraframe's orangeries come with the latest roof technology, to safely and beautifully add extra natural light and space to your home, with expert and affordable installation throughout South Wales. If you are looking for a bit more of a substantial expansion to the space available in your home, you should definitely take a look at the single storey extensions available to be installed by Ultra installers in South Wales. With a range of beautiful components installing an extension is a fantastic way to add room and value to your home while reducing the fuss that can come with traditional home extensions, with planning permission and other complications. Get in touch and let Ultraframe do all the heavy lifting for you! If you’re looking for a reputable, accredited installer to help out with your new conservatory, replacement conservatory roof or extension project in South Wales, then Ultraframe can help - look no further than our Ultra Installers. Choosing an Ultraframe Ultra Installer offers you complete peace of mind that you are choosing an installation company who not only knows everything there is to know about adding a conservatory or extension to your home, but you are also choosing a reputable company that goes through an ongoing accreditation process. Your local South Wales Ultra Installer will be able to advise you about the best style of conservatory or extension to complement your home and answer any questions that you may have about Planning Permission or Building Regulations that may apply to your conservatory, replacement conservatory roof or extension project. They are fully up to date with all the latest regulations that apply to home improvement projects in South Wales so you can work with them knowing that they will take care of anything concerning Planning Permission or Building Regulations for your conservatory or extension project. How to find a reputable conservatory or extension installer in South Wales? Finding your local Ultra Installer in South Wales is simple – simply visit our Ultra Installer search page and we can put you in touch with some of the most reputable and experienced conservatory and extension installers in South Wales. Of course, our Ultra Installers can also take care of replacing an existing conservatory roof with a new solid, tiled, replacement conservatory roof. Who Can Build My Conservatory in South Wales? 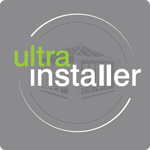 By using Ultraframe's Ultra installers, you will have complete peace of mind that your conservatory, orangery, extension or roof replacement is being installed by an expert who is a member of our Which? Trusted Traders Approved Ultra Installer Scheme. Ultra installers must also attend regular training to ensure they are up-to-date with Ultraframes products and services. Have a look at our range of great value conservatories, orangeries, extensions and more, available to be installed by Ultra installers in South Wales and get ready for a bigger, brighter home for less money than you might expect! We'll put you in touch with your nearest Approved Ultra Installer, who has been tested and assessed for their competency.